History, it seems, does not matter in modern society. Around the country we have seen courses in history stripped away from the curriculum in the public schools as historic buildings and landscapes are being pulled down all in the name of progress. Once upon a time in Naples, very few people knew there was a historic district, which runs from 9th Avenue South to 13th Avenue South to the Gulf of Mexico to Third Street South (just in case you were wondering). By devaluing history, is American society cutting off its nose to spite its face? Since history provides a context with which to understand the world, could we be raising our young people without that context thus placing them at a significant disadvantage? People who suffer from amnesia are unable to recognize friends or foes and are left to the mercy of others to provide missing information, which is no doubt shaped by their perceptions or agendas. Cultural amnesia works in the same manner. It is this memory of our individual and collective histories, which gives our world meaning. Thankfully in Naples, we have several Heritage Heroes (HH) swimming against the current, to provide context and meaning for this once final frontier in Flori da. Sunshine Ace Hardware, our first HH nominee, set forth a new way to showcase local history when it remodeled its store on the Tamiami Trail three years ago. 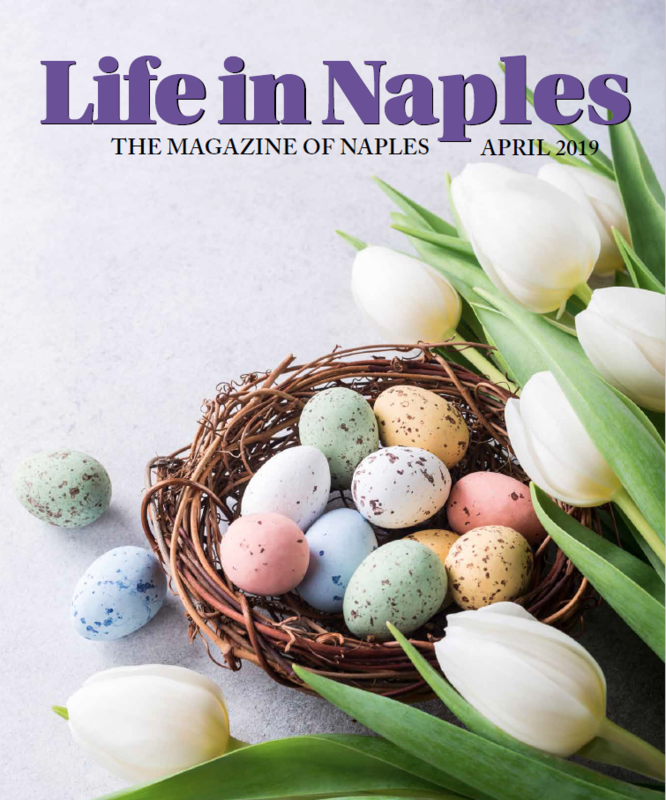 Michael Wynn, CEO, blended the family’s legacy into Naples history offering its customers an unusual opportunity to not only pick any need for your home or beach outing; you can also walk away with a factoid or two on life in Naples before Hurricane Donna. Muffy Clark Gill is best know for her Batik art and was recently chosen to have a solo show of her Seminole Batik paintings in the 22nd floor gallery of the Florida State Capitol building Feb-April 2015. Her pieces on the Seminole people of southern Florida are unsurpassed. Naples Zoo’s Trees and Gate House were originally announced as historic in October 2008. Julius Fleischman preserved these attractions, which began in 1919 by botanist Dr. Henry Nehrling, in the early 1950s. The Tetzlaff Family assumed the stewardship and today, this heritage site has big plans coming to a memory near you soon. Mike and Kathy Peppe, newest donors for the Heritage Trail bronze markers have one more surprise up their sleeves this coming season with the installation of a state heritage marker, the Indian Canal, located in Crayton Cove. It will be the first of its kind in the state hosting information on two sides along with maps. 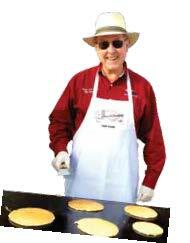 Lorenzo Walker Institute of Technology (LWIT) will hosts it third annual “Fly-In, Cruise-In” Pancake Breakfast at the Naples Airport on March 1, 2014 from 8 a.m. – Noon. The airport, built for WWII training, just celebrated its 70th Anniversary, and will host vintage automobiles, exotic aircraft and military memorabilia from the Museum of Military Memorabilia, as well as a pancake breakfast complete with ‘Celebrity Flippers’. If you find yourself hankering for pancakes on this day, be sure to look up Marlys Walker, whose family came in the late 1800s. Ms. Walker, who recently served as the 2013 Honorary Grand Marshall for the Naples Christmas Parade is one of the area’s most beloved and tireless Heritage Heroes. She instituted the Lehman Legac y award three years ago in honor of her parents who started Naples High School Football and worked alongside her husband’s family who developed Aqua Lane Shores using the motto: A car in every garage – a boat in every backyard. Ms. Walker’s husband, R. L. served as the inspiration for LWIT, which was championed by his brother, Lorenzo Walker, in the state legislature. While R.L. was not good at ‘book learning’, he was a genius mechanic. Today LWIT has one of the most successful auto and marine mechanic training programs in the country. Someone once said that not knowing your history is like a leaf not knowing that it is part of a tree. As one generation plants the trees; another gets the shade. Such is the circle of life. With all of the good work these local Heritage Heroes are doing, the shade of Naples history will be felt far and wide for generations to come.